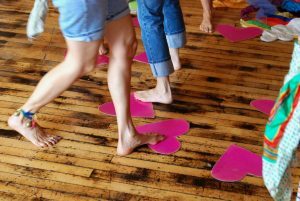 Our goal is to maintain a beautiful, safe, and respectful space where folks can access Spirit through dancing. We donate 50% of our profits quarterly to disaster relief, community service, and global wellness projects. We draw from a variety of inspiring music from the world’s spiritual traditions as well as modern popular music. We create a container which encourages participants to have thier own experience through dance while still feeling connected to the rest of the group. At times we will lead a dance or improvise a ritual. 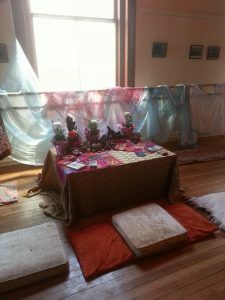 We often work with a theme (shining the light, finding joy in sparseness, forgiveness, new beginnings) which enables a focused yet open connection to inner work and outward expression. We gather at some point to share with each other. At this point we have a circle of regular participants who feel safe sharing deeply with each other.